Two blondes were going to disneyland and came to a fork in the road. One way said highway 93 right and the other said Disneyland left. Why did the blondes go home? Because they thought that disneyland actually left. 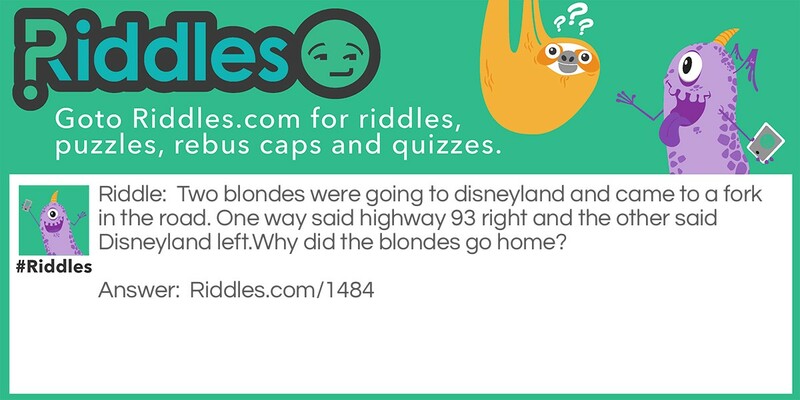 Two blondes Riddle Meme with riddle and answer page link.